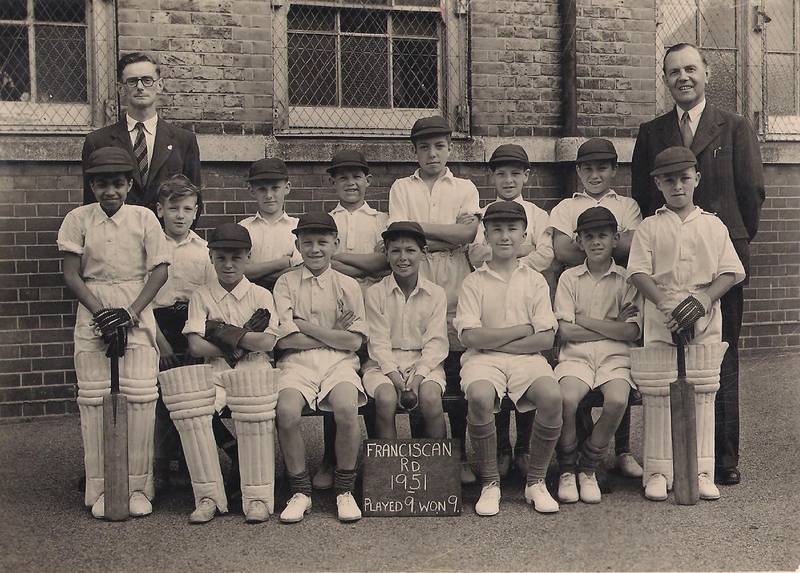 This is me on the left, as part of the school cricket team when I was eleven. We were unbeatable and Surrey team scouts offered me a place in their Alf Gover Cricket Academy. They obviously saw potential in me, so I started their training sessions on the top of a large garage building in Earlsfield with great enthusiasm. That autumn I had to move up to secondary school, which for me was Hillbrook School (later to be known as Hillcroft School). It was the secondary modern for the area because I had not taken the examination to get to Tooting Bec Grammar School. At Hillbrook the teachers were every bit as friendly and helpful to me as the ones at Fransiscan school. Cricket was a particular passion of Mr Maggs, the Headmaster. This meant, since I was with the Surrey Cricket Club at the Earlsfield Cricket Academy, I could do no wrong in his eyes. As the school year progressed, he heard that I had not been turning up regularly for the Academy sessions and wanted to know why. I explained to him that I couldn’t always get there as it was a five or six mile walk and with my paper rounds, I couldn’t always fit it in, especially in winter. I couldn’t afford the bus fare to get there as I had to give most of my paper round earnings to ‘mum’ Munroe towards my keep. He understood and urged me to try hard to get there in spite of the difficulties since even if I did not get picked for the Surrey team, being at the Academy could be a ticket to a good job or further education. What I didn’t tell him, however, was that that the Munroes, being very conscientious Christians, forbade me from playing cricket on Sundays for religious reasons. This eventually meant that I did not get picked for the Surrey team owing to unreliability that was not really my fault, so the potential I had, wasn’t realised. Next to the local library was Tooting Town Hall, where at that time they used to issue ration books and deal with doctors and school registration. ‘Mum’ and the rest of the family all went along to get issued with their ration books. They had been told what to do by Brother Sonny and Jimmy who, having been living in England for some years before, already had theirs and knew the ropes. It was very busy. Lots of people were lined up and we waited a long time for our turn. Mum and the others had to answer questions for the officials to fill in forms which they had to sign. There was a problem with me because my surname was Joseph. I heard the word “adoption” mentioned a few times during their conversations and that was followed up by the officials requesting legal papers, of which there were none. The people asked me lots of questions, many of which I couldn’t answer as I couldn’t understand them. The big words they used, I looked up in the dictionary when I got home and began to understand later what had been going on. It was then that I first heard the word “guardian”. This reminded me of when I had been asked to change my name to “Munroe” before we left British Guiana (presumably to enable me to be included on mum’s adult passport as I did not have my own passport.) I refused to do this because I insisted that I was Edwin Joseph not Edwin Munroe and also because it meant that I could have my own passport in my own name. Obviously this name difference was now causing them difficulties in getting me ration books because I was not in the same family as a child of theirs. Nevertheless they still got a ration book for me and also the family allowance book which entitled them to 7s 6d a week for my upkeep. Many times the Munroe family asked me why I did not want to change my name. I did not understand why they wanted me to. I knew I was Edwin Joseph as I was born Edwin Joseph. The birth certificate that had been acquired for me had that as my name and my father’s name on that certificate was Lewis Joseph. 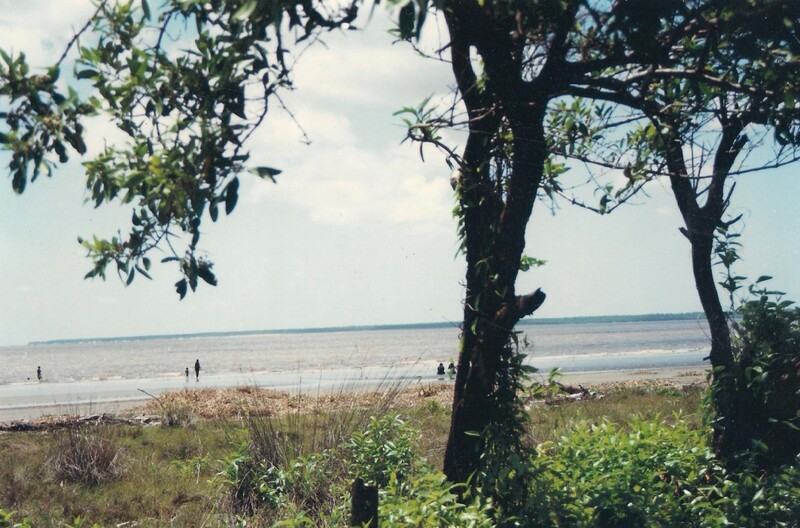 My father was very dear to me and still alive back in Hopetown. Parson Munroe had always taught me that I must tell the truth and I had always done that. I was not going to behave any differently now. I suppose there were a number of other ways in which I stood out from the crowd at school. During the entire time I was at Hillbrook, I was the only boy in my class wearing short trousers. I had to wear what I was given. It was not something that bothered me at that time. Even though all the other boys had long trousers, it was not something that they thought particularly strange to see me in shorts and since it was an all-boys school, they did not poke fun at the way I dressed. Being the only black child at school was at that time something of an advantage. I remember school photographers visiting Fransiscan in my last year there. After taking all the group photos, they singled me out and took lots of extra photos of me. Then when I was in class 1a at Hillbrook, someone came to the school and got sent to see ‘Mum’ at home. Weeks later, I noticed a big poster of my face advertising Colgate toothpaste posted up on the wall outside Tooting Broadway Underground station. School friends who had seen that or other posters elsewhere in London, started teasing me that I was famous. I never had to sign any contracts but I presume ‘Mum’ got some money from them for giving her permission to use the photo. The teachers at Hillbrook organised lots of trips to interesting places. I wanted to go on them but there was no money for me to do that, so I would have to earn it myself. I used to do paper rounds and help out Uncle Tom, the local cobbler so I could use my own money to pay for such things. I put it in a Post Office savings account. The trip to the Festival of Britain in 1951 was amazing and made such an impression on me that it remains in my memory as the most interesting experience of my life. I was spellbound by the hundreds of different displays from all over the world and the thousands of people milling around. I could have spent the rest of my life in the Dome of Discovery, with so many things to learn about science, technology, agriculture, geography, anthropology, customs from different cultures, as well as plants and animals. The Skylon was a prominent landmark on the London skyline. I was awestruck by the skill of the people who had put it together. I used my own money from my Post Office savings stamp book to buy a five shilling commemorative coin of the Festival of Britain which I gave to ‘Mum’ Munroe for safe keeping. I even made a second visit to the Festival with the Boys Brigade. This time Uncle Tom the cobbler gave me a ten shilling note which I partly used to get in and five shillings of it went to buy another commemorative crown coin. This also went to mum for safekeeping along with sports medals, badges, certificates and stamp albums in a special box with my name on it.